The 2011 FIBA Americas Championship for Men, later known as the FIBA AmeriCup, was the qualifying tournament for FIBA Americas, at the 2012 Summer Olympics men's basketball tournament, in London. This FIBA AmeriCup tournament was held in Mar del Plata, Argentina, from August 30 to September 11, 2011. Argentina won the title, defeating Brazil, 80–75, in the final match. This was the country's second AmeriCup championship. FIBA Americas named Mar del Plata, Argentina the host of the 2011 competition on May 24, 2010 at a meeting in San Juan. Games were played at Polideportivo Islas Malvinas, which seats more than 8,000 fans. Toronto and Rio de Janeiro also bid for the tournament before FIBA awarded the competition to then world number-one ranked Argentina. Toronto was eliminated in the first round of voting before Mar del Plata beat Rio de Janeiro in the final round 13 votes to 3. Toronto's bid was seen as superior to the other two,[by whom?] but due to the lack of government backing was not awarded the tournament. The ten teams originally selected to receive invitations for the tournament were the host team, the top three finishers at the 2010 South American Basketball Championship, the top two teams in the North America Sub-Zone, and the top four finishers at 2010 Centrobasket. Because the host country, Argentina, came in second at the 2010 South American Basketball Championship, the fourth place team (Venezuela) at the championship was also invited. After the United States (the only team other than Canada in the North America Sub-Zone) automatically qualified for the 2012 Summer Olympics by winning the 2010 FIBA World Championship, they withdrew from the tournament. The fifth place team at the 2010 South American Basketball Championship (Paraguay) was then invited to participate. a Barbosa decided not to participate in the tournament. b Nash has retired from international play. c Thompson and Magloire were not called up for Canada's national team. d Nenê decided not to participate in the tournament. e Varejão was unavailable for the tournament due to injury. The ten teams are split into two groups. The best four teams of each group advance to the second round, where the teams play against the four teams from the other group; each team carries over all points earned during the first round, except for those earned in the match against the team that was eliminated. The best four teams of this group advance to the semifinals. The two winners in the semifinals automatically qualify for the Olympics. The remaining three teams from the second round plus seven teams from other continents play the 2012 FIBA World Olympic Qualifying Tournament, where the top three qualify for the Olympics. The draw took place on January 27, 2011 at the NH Gran Hotel Provincial in Mar del Plata. Notable ESPN Latin America announcer Álvaro Martin conducted the ceremony while FIBA Americas Secretary General Alberto Garcia and a number of sports figures drew the teams. The ten participating squads were paired in five pots, where the first draw from each pot would go to Group A and the second to Group B. Teams were paired according to their world rankings for balance purposes. Being the host, Argentina had the opportunity to choose their group. Qualified for the 2012 Summer Olympics. Qualified for the 2012 FIBA World Olympic Qualifying Tournament. 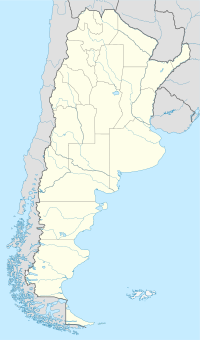 ^ "Argentina to host 2011 FIBA Americas Championship; Muratore elected". FIBA. FIBA.com. May 24, 2010. Retrieved September 10, 2010. ^ Argentina reaches insurance deal for NBA stars Archived March 28, 2012, at the Wayback Machine,MarDelPlata2011.com. Retrieved July 30, 2011. ^ Arroyo insurance is finalized[permanent dead link], MarDelPlata2011.com. Retrieved July 30, 2011. ^ Barbosa will not play at Mar del Plata Archived March 28, 2012, at the Wayback Machine MarDelPlata2011.com. Retrieved July 30, 2011. ^ Buffery, Steve (July 19, 2011). "Calling Steve Nash, Canada needs you!". Toronto Sun. Retrieved August 24, 2011. ^ The SMNT'S Road To The 2011 FIBA Americas Championship For Men Archived October 3, 2011, at the Wayback Machine Canada Basketball. Retrieved July 30, 2011. ^ ARG - 2011 FIBA Americas Championship draw today, FIBA.com. Accessed April 1, 2012. ^ FIBA Americas – The groups for the 2011 FIBA Americas Championship were drawn: Archived January 28, 2013, at Archive.today, mardelplata2011.com (Official site of the tournament). Accessed April 1, 2012.